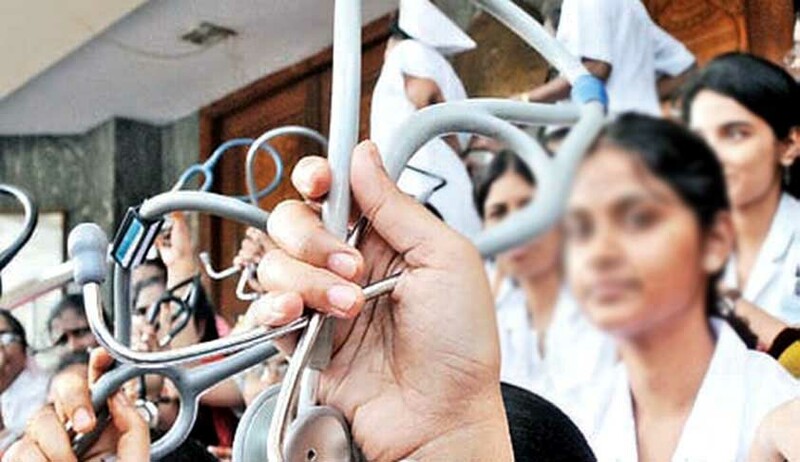 “The life of a patient is more precious than your demands” – Bombay High Court Chief Justice Manjula Chellur told doctors who were still on strike after BMC lawyer Suresh Pakhale informed the court on Friday that 135 deaths had taken place due to the strike called by resident doctors. Pakhale said 48 people died in Sion Hospital, 34 in Nair Hospital and 53 died in KEM Hospital. All three hospitals are run by the BMC. A-G Rohit Deo informed the court that Chief Minister Devendra Fadnavis met with representatives of both MARD (Maharashtra Association of Resident Doctors) and IMA (Indian Medical Association) and they assured him that they will convince doctors who are still on strike to call it off. On Thursday, the bench had urged protesting doctors to resume their duty and even asked hospital management not take any punitive action against them. These directions came after state government assured the court that 1,100 additional security personnel will be deployed at hospitals to ensure safety of doctors. President and secretary of MARD filed their affidavits on Friday, stating that they have asked all their members to resume work immediately and they will have no objection if action is taken against doctors who fail to report for duty the next day. The next date of hearing is Monday.